Lara Friedman is the president of the Foundation for Middle East Peace. 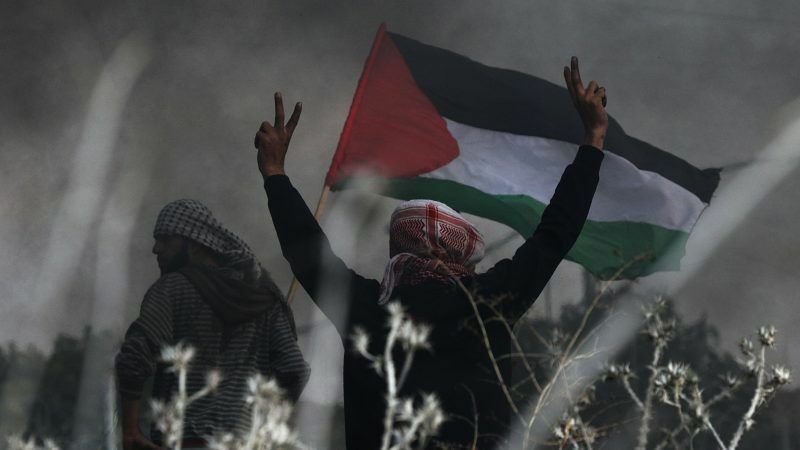 As EU member states continue discussing in their monthly Foreign Affairs Council meetings ways of reviving the Middle East peace process in an inclusive manner, speculation is rampant regarding the Trump Administration’s widely touted plan to achieve Israeli-Palestinian peace. Nobody can say with certainty what the plan will entail or when (or even if) it will be released. However, President Trump has already given a powerful clue indicating the direction his policies are likely to take, in the form of his historic 6 December 2017 decision to change decades-old US policy vis-à-vis Jerusalem. Based on that decision, Europe should anticipate that Trump’s peace plan, if it is ever released, will be designed neither to achieve peace nor to re-start negotiations. Rather, it will be a platform for new US positions designed to take the remaining core issues of contention between Israel and the Palestinians – the Oslo Accords’ permanent status issues – “off the table,” creating a new Israeli-Palestinian status quo aligned not with peace or a two-state solution, but with the aspirations of Greater Israel zealots, both in Israel and among Trump’s key advisors and political base. Trump’s Jerusalem decision had four distinct elements. The first was substantive: the decision endorsed Israeli claims with respect to Jerusalem as its capital, while offering no parallel legitimacy claims of Palestinians. The second was normative: Trump justified his decision saying it was “nothing more, or less, than a recognition of reality,” despite the fact that the status and future of Jerusalem are hotly contested. The third was prescriptive: Trump assured the world that his decision was a step to “advance the peace process and to work towards a lasting agreement,” notwithstanding the fact that his decision violated the fundamental premise of Israeli-Palestinian peace efforts, i.e., that core issues will be decided only by negotiations. Applying these same elements to the remaining permanent status issues – settlements, refugees, borders and security – produces a disturbing picture of the policy shifts Trump is likely to adopt going forward, whether in the context of a peace plan or piecemeal. Substantively, the Trump Administration – which since taking office has been unwilling to publicly criticise settlements and whose ambassador to Israel openly supports the most expansive aims of the Israeli settlement enterprise – is already on a path toward formally shifting U.S. policy to legitimize Israeli construction in the West Bank. Likewise, the ongoing U.S. assault on UNRWA suggests an imminent policy shift on Palestinian refugees, likely in the direction of adopting longstanding right-wing calls for a more restrictive definition of the term “Palestinians refugee,” demanding the dissolution of UNRWA, and calling for the transfer authority over the (diminished) Palestinian refugee population to the United Nations High Commissioner on Refugees (UNHCR). Similarly, smart money should be on the Trump Administration sooner rather than later endorsing Israel’s right, for the sake of its security, to annex or maintain permanent control over significant areas of the West Bank, including the Jordan Valley. And whether articulated as part of a new peace plan or as isolated decisions, the Trump Administration should be expected to frame such policy shifts, like it did its Jerusalem Declaration, as merely a recognition of “realities,” and as pro-peace steps that do not prejudge final status. As was the case with Jerusalem, however, the “realities” in question are nothing of the sort. Rather they are well-worn canards, regularly trotted out in defence of Israeli occupation policies and to thwart any possible peace agreement. For example, a shift in policy on settlements will likely be grounded in the canard suggesting that there is nothing controversial about Israel building in parts of the West Bank, like settlement blocs, that “everybody knows” Israel will retain in a future peace deal – although such construction violates the very notion of a negotiated agreement, erases the 1967 border as the basis for an agreement, is designed to prevent the establishment of a contiguous Palestinian state or a Palestinian capital in East Jerusalem, and undermines the viability of land swaps. Likewise, a shift in policy on refugees will likely adopt the canard which holds that UNRWA artificially perpetuates the Palestinian refugee issue and inflates the refugee numbers – despite facts like: that Palestinians refugees, like any refugees, define themselves as such based on their experience, not the permission of the UN; none of UNHCR’s solutions for helping refugees – returning them to their homes, settling them where they are, or settling them in a third country – can be applied to Palestinians; and until families are permanently settled, the UN classifies babies born to refugees from any conflict as refugees. The time has come for Europe to abandon any remaining, irrational hopes that Trump will surprise the world by leveraging his own dangerous Jerusalem decision to now propose the “ultimate deal,” or put forward any plan that will allow Europe to return to playing its preferred role as a supporting actor in a US-led Israel-Palestine peace policy. Recognising that further dangerous Trump policy shifts on Israel-Palestine are imminent, Europe should redouble its commitment to critical EU policies grounded in its commitment to international law and a negotiated two-state solution: implementation of UN Security Council 2334, upholding differentiation between Israel and settlements, defending the Palestinian presence in Area C, empowering civil society voices, and supporting Palestinian unification. Only in this way can the EU hope to defend its own interests and equities against the policies of a US president who, for all intents and purposes, has adopted the Israeli right wing’s “Greater Israel” agenda as his own.